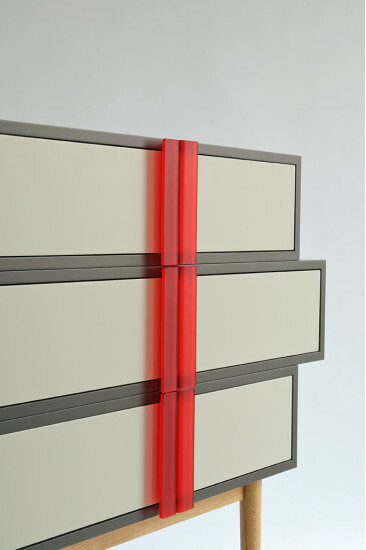 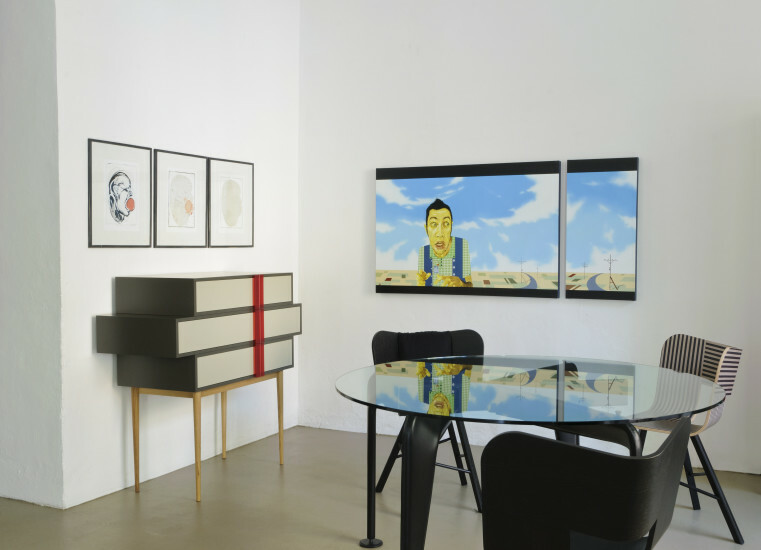 With a light and sophisticated style, the Israeli designer/artist Hagit Pincovici conceives a sleek looking and oneiric chest of drawers. 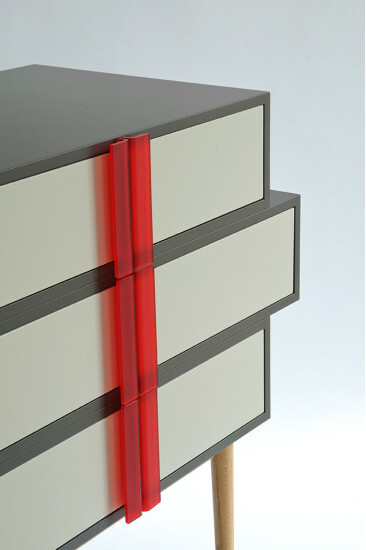 Each piece is numbered and bears the signature of the artist. 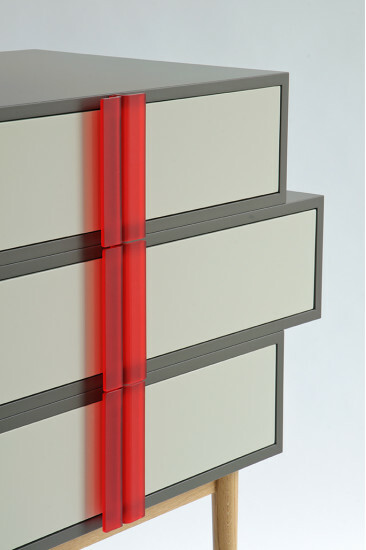 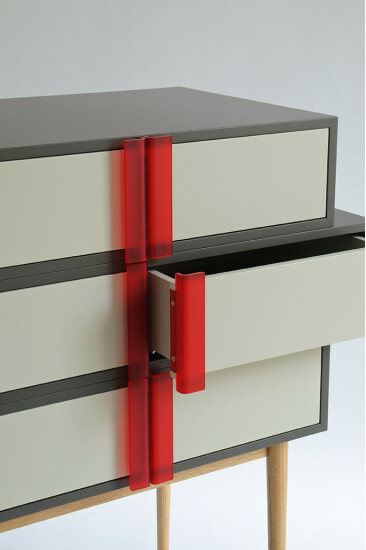 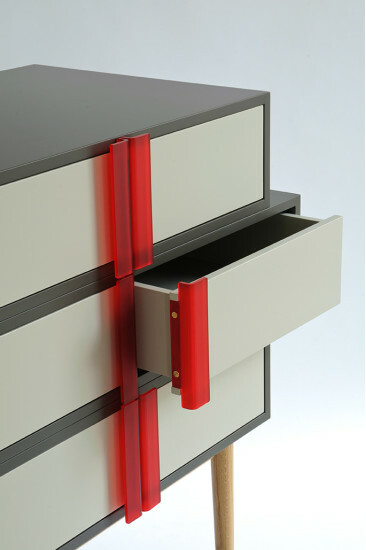 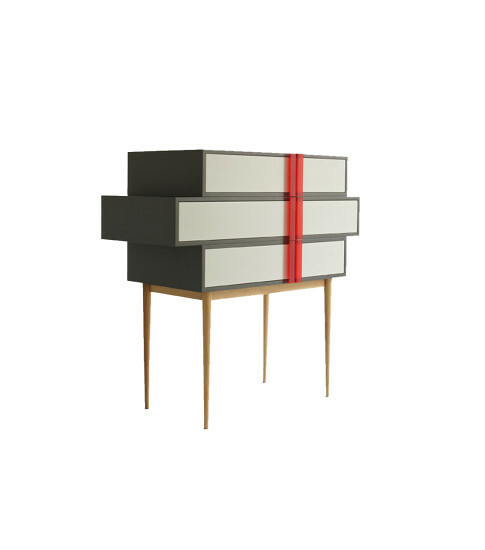 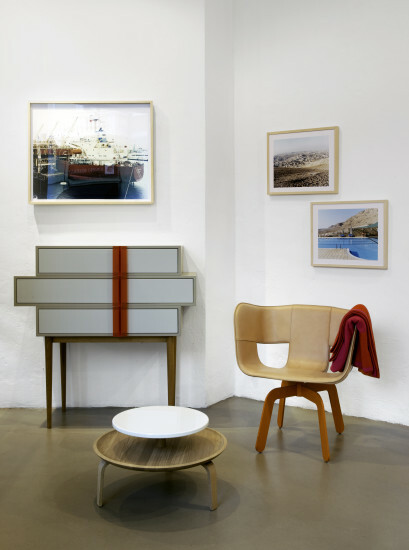 The legs are made of solid oak and the structure in MDF matt lacquered with a different finishing for the shell and the drawers.The handles, in the manner of a wrapping, give the illusion of binding the drawers in seemingly random overlap, and are made of a particular material subjected to a novel treatment that gives them the quality of the opalescent glass paste and the intense yet subtle appeal of once famous spiced alchermes liqueur.